We took a drive to a small town outside Vegas, to visit an old neighbor’s restaurant. It seemed reasonable to take a break from gambling, though I hated to lose the pool time. Cousin M— drove, in the SUV he rented to drive up from LA, and Dave and brother J— and I looked out at the red rock landscape as we rode along. The restaurant is in an office park, surrounded by an allergy clinic and a cancer clinic. The food is fantastic. Genuine Italian beef sandwiches and sausage sandwiches and pepper and egg sandwiches, on fresh-baked homemade bread. He also does great entrees, mostly Italian or German (he’s half of each), or Greek (his wife). The place is super clean and the service is quick. The restaurant is struggling. Our friend opened it in the spring of 2008. He chose this spot, north of the center of town, because a casino was opening across the street, Fedex and UPS were opening warehouses up the road, there was a Starbucks near by, a brand new Walgreens… the town was growing in this direction. The office park meant plenty of parking, and he could build his kitchen exactly the way he wanted it, in a clean, well-maintained space. Then the town council had decided the Fedex and UPS hubs didn’t fit the image of the wealthy leisure destination they wanted the town to become, so no delivery trucks would be crisscrossing past the sandwich shop. A month later, the market crashed. 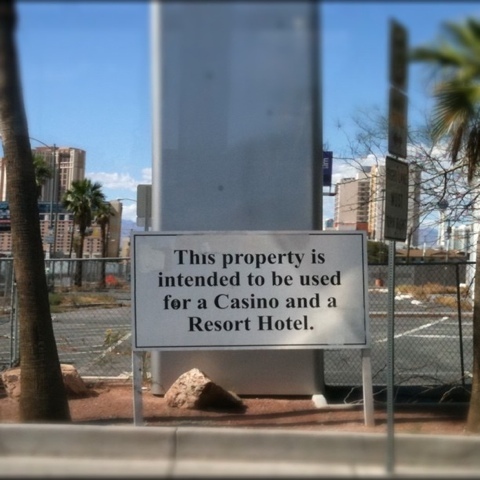 The casino never broke ground. Walgreens bought Rite-Aid and didn’t want their new Walgreens to compete with the established Rite-Aid downtown, so that closed. So did Starbucks. The only food spots that seem to succeed in this town are fast food joints. No one has money. One of the three casinos closed a year ago, and 600 people had nowhere else to get a job. Many of the snowbirds can’t afford to come lately, and those who can usually eat in whatever clubhouse they’re golfing at. People tell our friend his menu is too large, even as they order the Greek lemon chicken and lasagna and deep dish pizza. Our friend says he’s not going to give up. “If I were doing something wrong, my concept was wrong or people didn’t like the food, then I’d have to consider,” he says. “But I’m too damn stubborn to call it quits just because of the economy.” So he makes adjustments and keeps going. If there are people in the world willing to order Quisp from the company by the case, just to use it as the fifth layer in their cereal mix, then maybe our friend is right. Eventually, his clientele will find him. Here’s to hoping that people realize what they’re missing by not going to his restaurant. Good Italian beef is hard to find once you get too far west. Sounds like a place I’d like.